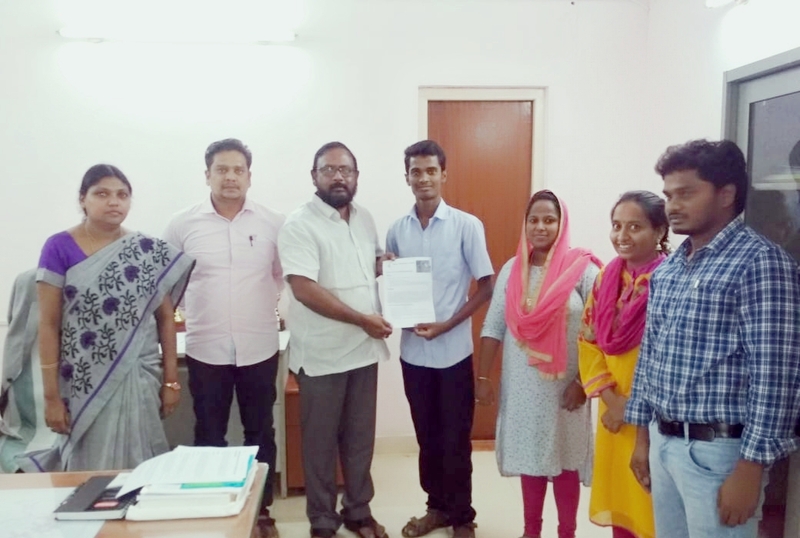 RGUKT Nuzvid student, Koti Reddi won First Prize for his project "OPUS" in the National Space Society Space Settlement Contest 2019. Mr. Koti Reddi recieved Grade 12 First Prize in individual category. Prof. D. Suryachadra Rao, Director and Mr. T. Sunil Bhagat, A.O. appreciated student on his achievement. Finance Officer, S.Chiranjeevi, Dean Student Welfare, Ms. D.Nagarjana Devi,HoD-Civil Engg. Ms.Shemeera, PRO, Ms. Pavani were present. This annual space settlement design contest for 6-12th grade students has been sponsored by NASA Ames Research Center from 1994-2018, for the last several years in conjunction with the National Space Society (NSS). This year Space Settlement Contest received 2,691 entries involving 12,899 students. For the previous 25 years this contest was administered by NASA Ames Research Center and was an entirely paper operation. This year the National Space Society took over administration at NASA’s invitation and simultaneously made the contest a cloud based digital system using the Award Force contest software.